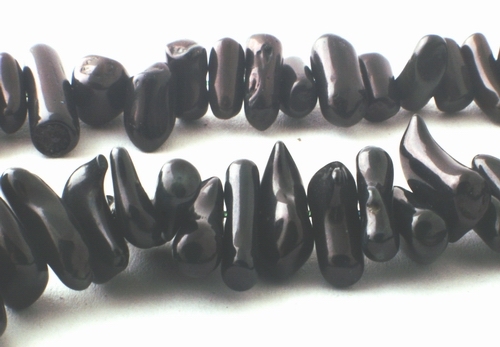 Price is per 16 1/2-inch strand of these dramatic beads. All will be a different size and shape, but average largest bead measures about 15mm x 3mm - very many to the strand. Genuine Chinese coral dyed, but colour fixed.